The Powerhouse Theatre is available for lectures, receptions, memorial services, parties, movies and even Powerpoint Presentations! Rates available to active Powerhouse Theatre members by application to the Rental Manager. Powerhouse approved technician on site during entire occupancy – fee to be arranged with technician and paid separately. Facility damage deposit may be levied. Liquor license if needed, to be arranged and paid for by tenant. Additional insurance required. 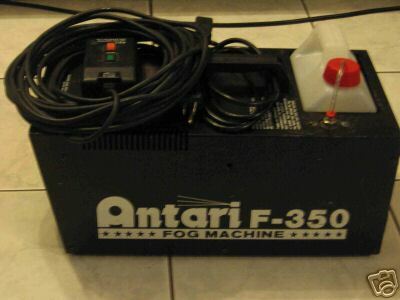 Fog machine and keyboard are available for rent. Damage deposit required. Note: stage floor must be returned to flat black color if altered in any way. The Powerhouse Theatre houses one performance venue as well as a Green Room with bar facilities. 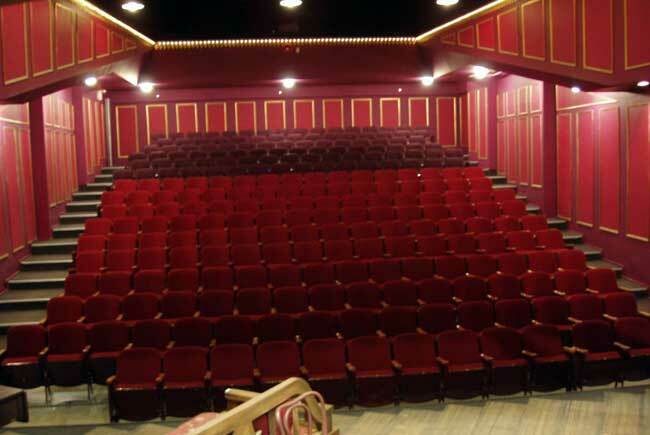 The main auditorium is a 238 seat proscenium arch theatre. The Green Room accommodates up to 50 people and is fully mirrored on one long wall. Both venues are accessed via the front doors and share a common foyer which can also be used for small receptions. The backstage of the main theatre has a full sized loading dock. Complete Operations Manual can be viewed here. The stage is surfaced in black painted masonite. The orchestra pit consists of removable pit covers located over the apron of the stage. It is 22’ X 5’ X 5’ high. The floor may be raised 24″ by placing a sub floor on perimeter pony walls. Access is by a small door in the centre front of the stage. 1 main dressing room with stations for 12 persons served by a shower and 2 washrooms and equipped with a small refrigerator, microwave oven, a coffee maker and small sink with counter space. 1 secondary dressing room with stations for 8 persons served by a single washroom equipped with a small refrigerator, micro wave oven, a coffee maker and a small sink with counter space. A loading door 6’ 6″ wide and 10’ high is located at the back west side of the building off the parking lot and provides access via the scene shop to the stage. All systems except the lighting bars are controlled by lifting manually with the aid of pullies. 16’ X 16’ front projection screen suspended two feet in front downstage of proscenium. SFX system installed on computer. Comes with FC 1 remote control over 10 feet long, and bracket for hanging it on the ceiling (not shown in picture). This is a 1200 watt machine for maximum output. Please inquire for updated 2017-2018 pricing. Prices range for for-profit non-local events, for-profit local event, *not-for-profit non-local events, and *not-for-profit local events. Insurance is included. Day means midnight to midnight. Please note: hourly, weekly and monthly rates are available upon request. *A non-profit organization (also not-for-profit) is an organization that does not distribute its surplus funds to owners or shareholders, but instead uses them to help pursue its goals.